Magic Selfie Mirror Hire | Essex, Kent, London, Hertfordshire | OMG! Essex, Kent, Hertfordshire & London. make your event that little more memorable! The ever-popular group selfie has been incorporated into an instant printer, user interactive photo booth spin-off. It’s the fun of a photo booth taken out the box & with instant print outs over the course of the hire, why else would you choose anything else to be the key entertainment for your wedding, party or corporate event. Our Mirrors are the next big thing, so get in touch to see if we have a Mirror available for your event and you can add that extra bit of entertainment to your evening. 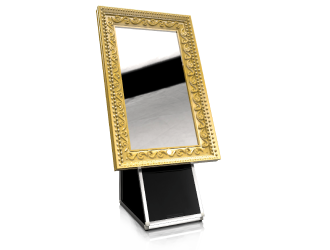 Check out our Magic Mirror spec to see it in action & exactly how it works!